The ACM Conference on Human Factors in Computing Systems (CHI) series of academic conferences is generally considered the most prestigious in the field of human-computer interaction. It is hosted by ACM SIGCHI, the Special Interest Group on Computer-Human Interaction. CHI has been held annually since 1982 and attracts thousands of international attendees. 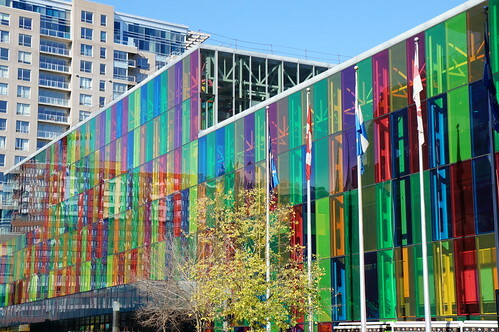 Next week members of SACHI will be at the CHI 2018 conference in Montreal where they will be presenting 6 full papers (1 best paper), 1 demonstration, 1 late-breaking work and other activities. This work includes pointing all around you, the design of visualization tools, physicalization, change blindness, multi-user interfaces, tangible interaction and augmented reality. You can find the research papers, videos and more details on SACHI @ CHI2018 here.